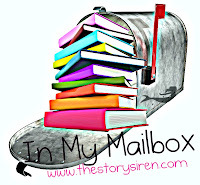 In My Mailbox was inspired by Alea at Pop Culture Junkie and created by Kristi at The Story Siren. FOR REVIEW: The Faerie Ring by Kiki Hamilton (Publisher- Thank you Tor/Forge publishing! )Frail by Joan Frances Turner (Publisher- Thank you Penguin! )Betrayed by Morrigan Michele and Misty Carmony (blog tour) Bloodstone Heart by T. Lynne Tolles (blog tour)Deadman’s Blood by T. Lynne Tolles (blog tour) Bloodlines by Lindsay Ann Kendal (blog tour)Torment (bloodlines #2) by Lindsay Ann Kendal (blog tour) WON: Royal Blood by Rhys Bowen (from Bea @ Bea’s Book Nook)Everblue by Brenda Pandos (from Word Spelunking‘s 100 follower contest! )Leave links to your IMM in the comments and I will be sure to stop by! 🙂Click here to enter my banned books giveaway- $10 to Book Depository Click Here to Enter my 500 Follower Giveaway! Hey guys, today I am being interviewed by Ginger over at GReads. I would love it if you guys could head over there and check it out and let me know what you think. 🙂 (pretty please with a book on top? )Here is the link to the interviewhttp://www.greadsbooks.com/2011/09/blogger-behind-book-30.html Click Here to Enter my 500 Follower Giveaway! 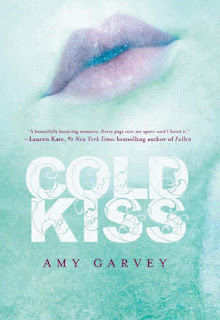 YA Blog Love- What are your Favorites? Earlier this week I tweeted about wanting to find some new YA blogs to follow and read. I got a few responses and found out about some really awesome blogs that I had not known about before.But it was not enough! I want more! So i’m putting the call out to you- show me the blogs! Old. New. 10 followers. 1,000 followers. I don’t care, I want to see them all! Leave me links to your favorite YA blogs and/or some YA blogs that you think don’t get enough shout out love. You can even pimp out your own blog to me. Leave me a link, I would love to come and say hi and check out your blog. I’ll even click that pretty little GFC button and subscribe via email. 🙂 Bring on the blogs!! Click Here to Enter my 500 Follower Giveaway!